Hello Beauties! I hope you're all well! I'm in the middle of revising for exams at the moment so I'm suitably stressed, but the end is in sight now as I only have 2 weeks left then my four years at University are over - scary! 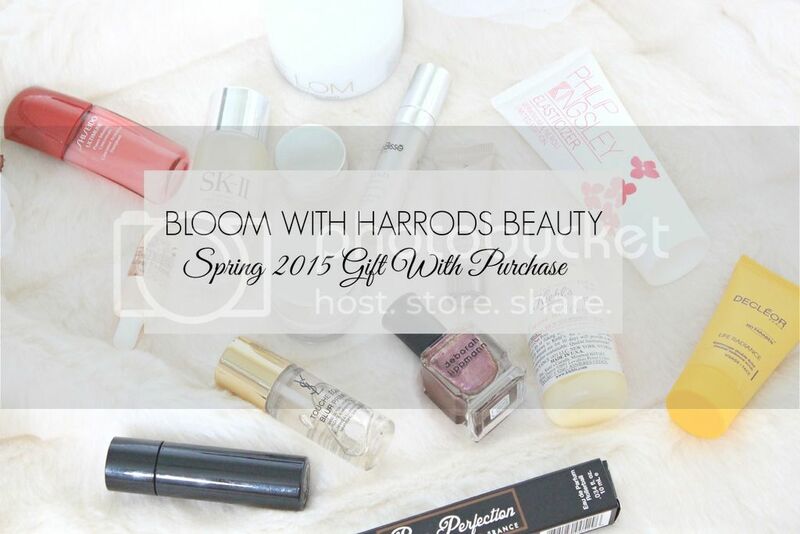 Anyway, today I thought I would make some time to post all about the Harrods Beauty Gift With Purchase for Spring 2015. I don't often post about these kind of things (In fact, I don't think I ever have) but this one was just too good to keep to myself! Throughout May, Harrods are celebrating all things floral, and to mark the occasion they're giving every customer who spends £250 on beauty products this beautiful 'Bloom With Harrods Beauty' gift with purchase. 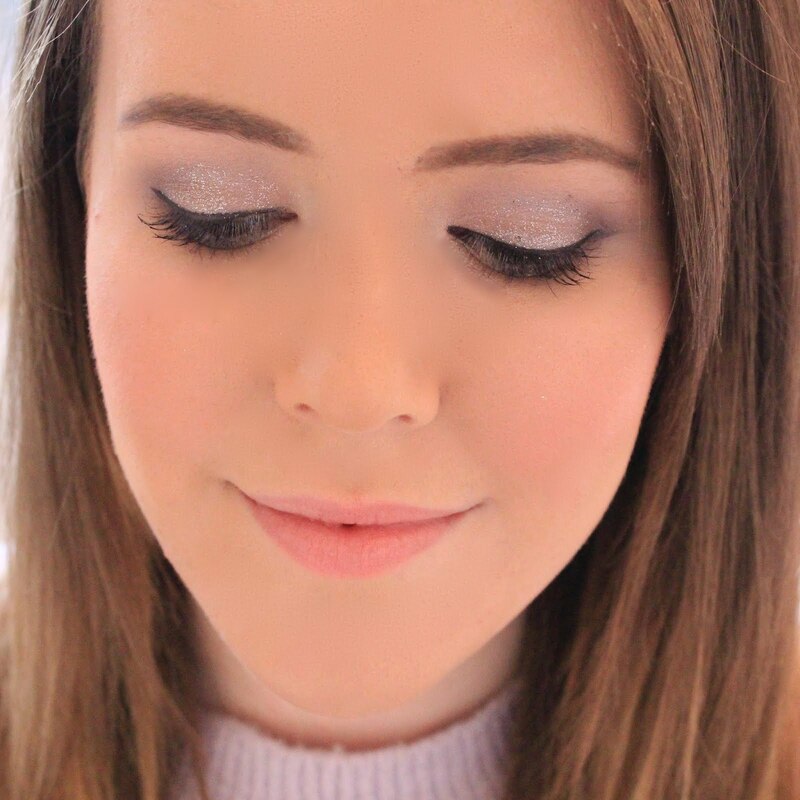 I understand that for most people, spending £250 on beauty products in one go may seem excessive, but if you're running low on a few high end items, or just want to treat yourself, then now would be the perfect opportunity! The gift comes in this gorgeous rose gold makeup bag which comes with two compartments, a flatter one perfect for storing any palettes and brushes, and a larger open compartment with plenty of space for all your beauty necessities. I'll definitely be keeping hold of this bag and using it for my travels as it's a really good size and really good quality too - always a bonus with these gifts! 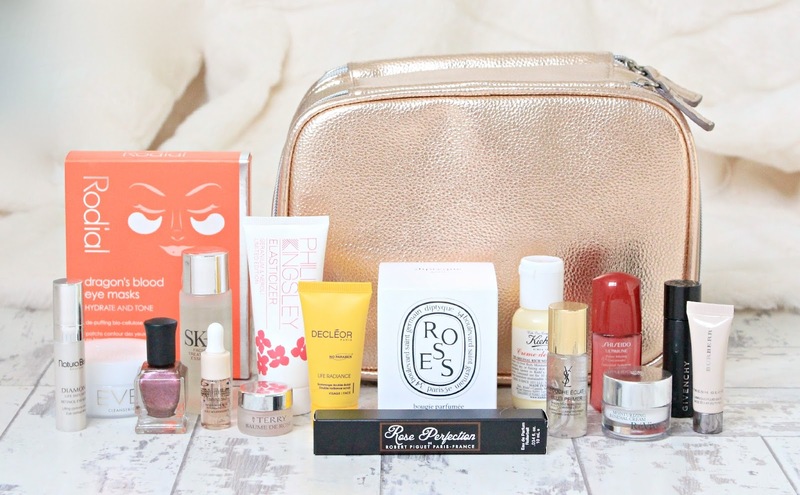 The makeup bag comes packed with tonnes of big brands and cult products, plus a few I haven't heard of, which was something I really liked about this gift. 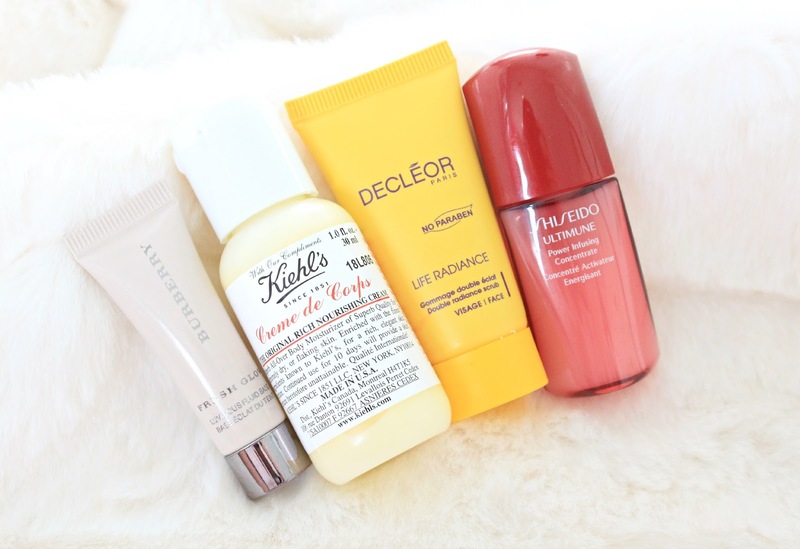 I got to try out some cult products that have been on my wish list for ages, and also got the chance to discover a few new favourites! I'll briefly go through all of the items, so you have a better idea of what to expect from the box! Burberry is a brand I haven't really had the chance to explore properly, due to their high prices, but so far what I've tried from the brand has been brilliant, so I was excited to receive a mini sample of their Fresh Glow Luminous Fluid. This product is basically a multitasking base designed to moisturise, protect and illuminate the complexion. It can be used on its own, as a primer or mixed with foundation, or even used to highlight certain areas of the face. Another brand which I was so excited to see included was By Terry. Again, this isn't a brand I've had the chance to try out yet (despite their Ombré Blackstar's being firmly on my wish list since last year) and I've heard a lot of wonderful things about their Baume De Rose. This lip saving product contains a lipo-regenerating complex of rose-flower essential wax and pastel oil boost cell renewal. The product also contains Vitamin E and Shea Butter to sooth the lips and fight the signs of anti-ageing. I always love receiving nail polish in these kinds of gifts as it's a product I rarely buy for myself. Punk Princess is a beautiful duo chrome purple colour with tiny flecks of purple glitter running through it, creating a beautiful and glamorous finish. This is definitely my kind of colour, and unlike anything else in my collection so I was really happy to receive this. I love a good scrub, and this deluxe sample size will be perfect for any nights away or holidays as I hate to take full size products with me - it gets a bit much when you're going through a 5 step skincare system! The Double Radiance Scrub from Decléor contains Egyptian Luffa to gently buff the skin while Madagascan Cardamon Seeds and Jojoba Beads revive luminosity and restore softness to the skin. I was SO excited to receive this. I'm a bit of a candle hoarder, so much so that they even have their own shelf in my room, and Diptyque is a brand I've been wanting to add to my collection for a while now. As the name suggests, the candle smells like Roses and fills the room with the aroma of freshly picked roses, you couldnt get more spring if you tried. If I'm correct, the Eve Lom cleanser was the product that kicked off the whole cleansing balm trend back when it was released 29 years ago. The balm contains a blend of four aromatic oils to cleanse, decongest, tone, exfoliate and remove makeup - even waterproof mascara, so I was excited to receive this. I'm yet to try a balm cleanser, so I'm happy that I've got a sample to try out before investing as some of them are quite pricey! I actually love receiving mascara samples in these kids of boxes, so much so that I rarely buy a full size mascara anymore, as they just last me so long. The Phenomen'Eyes mascara is slightly different though, as instead of having your standard mascara wand, it has a little ball for a more precise application. I've yet to try this yet but I'll definitely report back on how I got on, as it's such a unique product! This is a product I actually own the full size version of and I love it. It's ultra moisturising and perfect for those with dry and sensitive skin like myself, and this mini version will definitely come in handy for travelling. I'll be the first to put my hands up and admit that I never knew Laura Mercier did skincare, I've honestly never heard anyone mention it or seen it on a counter, however I am excited to give this oil a whirl as I've been really getting into using oils on my skin at night to restore moisture. This oil is made from a blend of rose-hip seed oil, safflower oil, vitamin E and Macadamia-seed oil to rejuvenate and strengthen the skins moisture barrier - just what I need for my dehydrated skin! This is a brand I've never heard of before, but so far I've been loving using this on my tired eyes (too many late nights revising!). This eye serum has a highly concentrated formula containing active ingredients such as Retinol and Bio-Magnet Nanosomes to help fight the signs of ageing around the delicate eye area. This is another product thats been on my wish list for ages now, however this is actually the limited edition version. It's quite a hefty sample so you can definitely get a few uses from this pre-shampoo conditioning treatment. This is another brand I've never heard of, but I'm excited to give it a go, as I've been trying to use a proper night cream regularly to help combat my skin's dehydration. The cream promises to work while you sleep to eradicate imperfections and diminish fine lines, definitely things I'm interested in. Continuing on from the rose and floral theme, this perfume smells very similar to the Diptyque candle. The rollerball is also perfect for popping into my handbag too. As I mentioned, too many late nights revising have left my eyes looking tired and puffy, so I'm excited to try these eye masks out to see if they can help in any way. They claim to reduce puffiness and leave your eye area looking brighter, and you get a good few packs of the masks, so enough to get a good idea of whether you like the product. I've yet to find a serum that I love enough to buy, and I'm hoping that this one may just be 'the one'. It claims to help boost the skins defensive powers and prevent the signs of ageing, all while boosting the skins moisture levels, something which I've really been trying to get into recently. This is another anti ageing product which comes with the gift, containing the highest concentration of Pitera of all SK-II's products, to effectively leave skin looking radiant and smooth. Lastly, I pulled out the YSL Touche Eclat Blur Primer. I love the Touche Eclat foundation so I was excited to receive this and really did want to try a sample before purchasing the while product. This is YSL's first light infused primer which works to blur pores and fine lines, creating a smooth base for makeup application. As you can probably tell, the whole box goes along nicely with the floral theme, and even contains a 'seed bomb' so you can add a little bit of spring to your garden which I think is a lovely touch. Sorry for the lengthy post, but I really wanted to go through everything inside the gift, and couldn't see another way of doing this! The gift is available both in store and online throughout May, when you purchase £250 worth of beauty product from Harrods. this is the best gift with purchase i have seen in my entire life, especially with that candle! This looks like the most amazing free gift with purchase, I've always wanted a Diptyque candle! Wow this sounds so great! What a beautiful bag. All of those products look fab too! 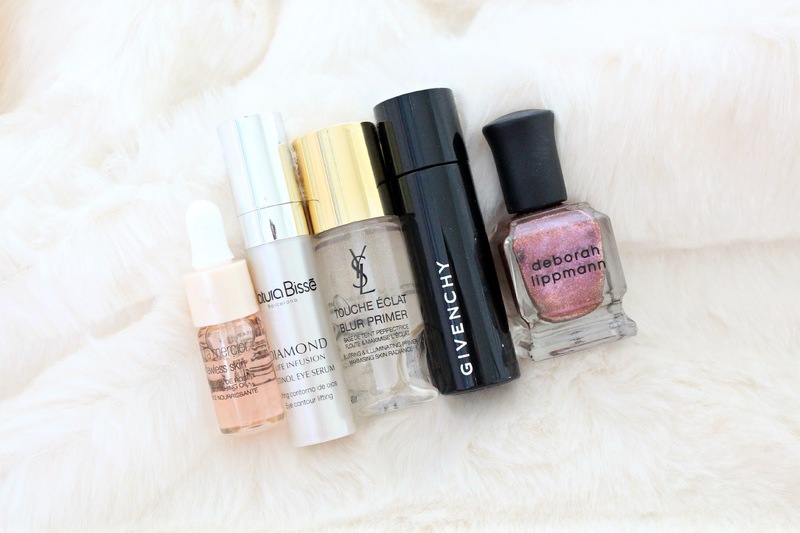 Wow, this GWP is packed full of goodies! 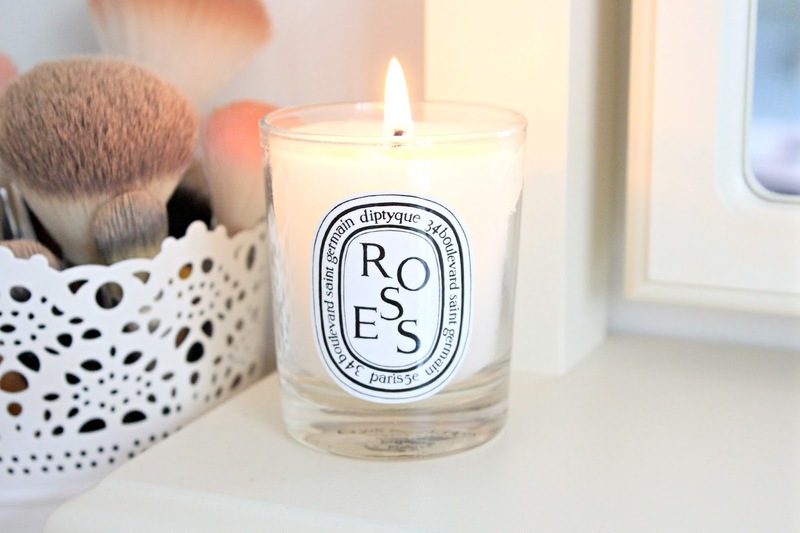 I personally love Diptyque candles, so including that alone in the gift makes it worth it!